Now, now, Katy. There was a time–for about three months in mid-2010–when Emma could wear her skinny jeans. As long as she didn’t try to sit down in them. Poor Emma! 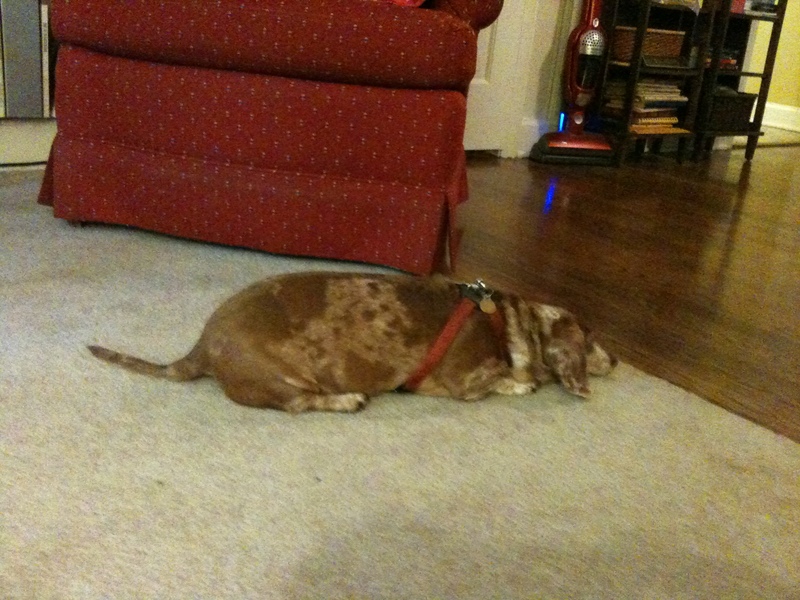 My dacshund, Copper, isn’t an emotional eater…he’s just ver lazy and now very fat. I tell him how fat he is all the time but he ignores me. His belly is only about an inch from the ground so when he goes out in the early morning the dew on the grass gets his belly wet! He is 10 yrs old so I guess he’s past his prime.